What an interesting name for a bird. 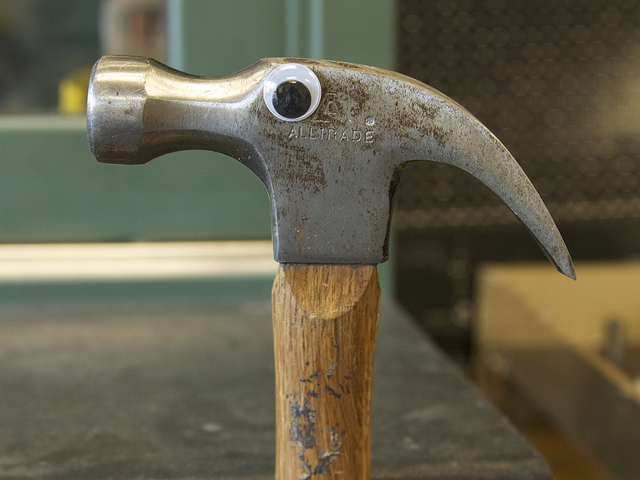 He is not a policeman (cop), but its head does, sort of, look like a hammer. Don’t you agree? Hamerkops are in a family by itself, because the birding authorities are not sure which family to add it to. So, they made a family, called the Scopidae Family. It is found in Africa, Madagascar to Arabia, living in a wide variety of wetlands, including estuaries, lakesides, fish ponds, riverbanks and rocky coasts. 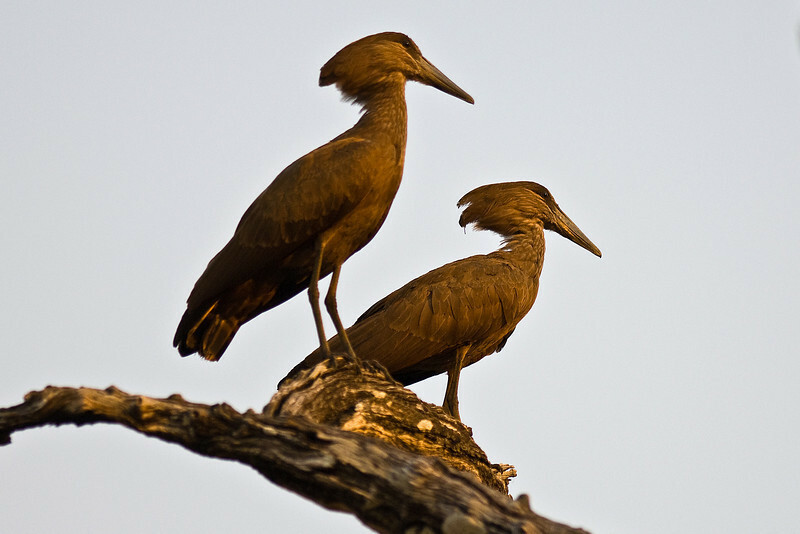 The strangest aspect of hamerkop behaviour is the huge nest, sometimes more than 1.5 metres (4 ft 11 in) across, and strong enough to support a man’s weight. When possible, it is built in the fork of a tree, often over water, but if necessary it is built on a bank, a cliff, a human-built wall or dam, or on the ground. A pair starts by making a platform of sticks held together with mud, then builds walls and a domed roof. A mud-plastered entrance 13–18 centimetres (5.1–7.1 in) wide in the bottom leads through a tunnel up to 60 centimetres (24 in) long to a nesting chamber big enough for the parents and young. 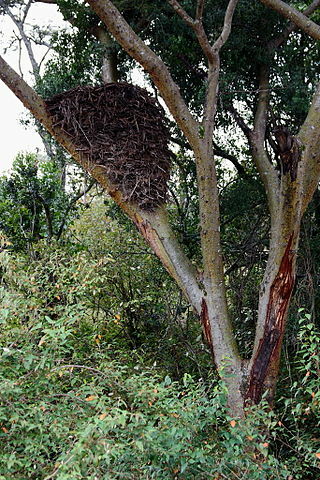 Nests have been recorded to take between 10 and 14 weeks to build, and one researcher estimated that they would require around 8000 sticks or bunches of grass to complete. 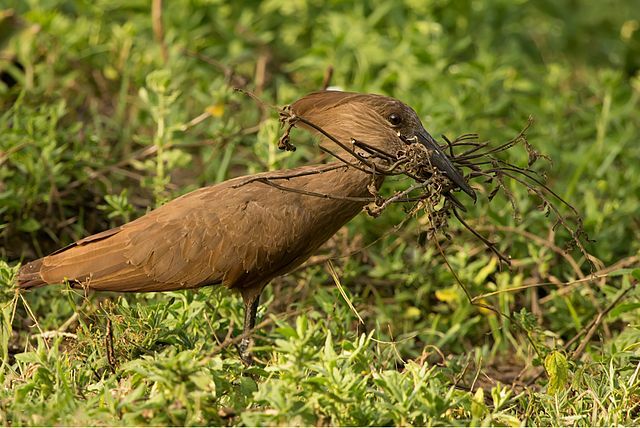 Nesting material may still be added by the pair after the nest has been completed and eggs have been laid. Much of the nesting material added after completion is not sticks but an odd collection of random items including bones, hide and human waste. 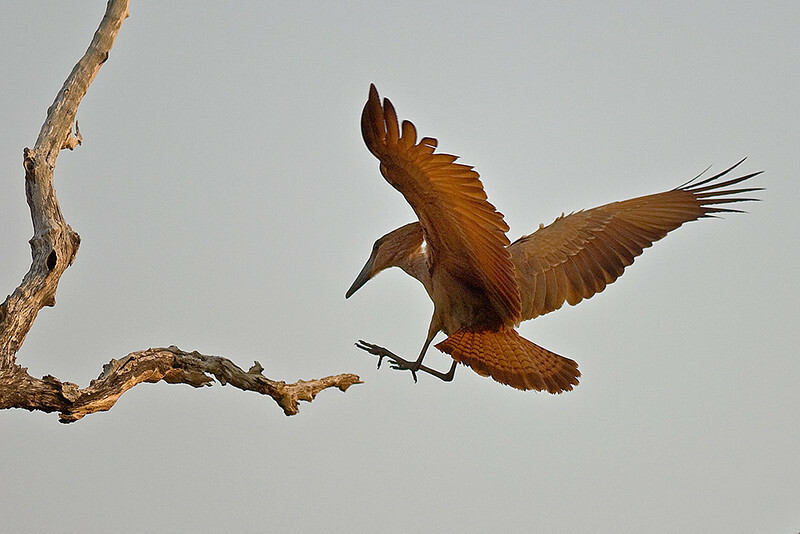 This is just another one of The Lord’s Avian Wonders. Just thought you might enjoy reading about this neat bird. 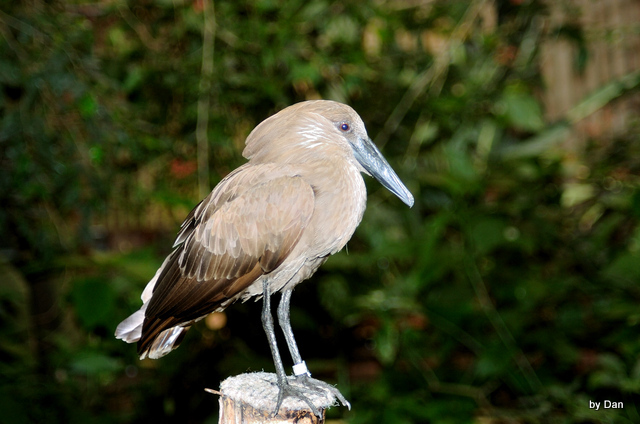 This entry was posted in Bible Birds, Birds, Birdwatching, Christian and tagged Creation, Hamerkop, High School, Home School, Kids, Kind, Nature, Pelecaniformes, Scopidae, Youth. Bookmark the permalink.